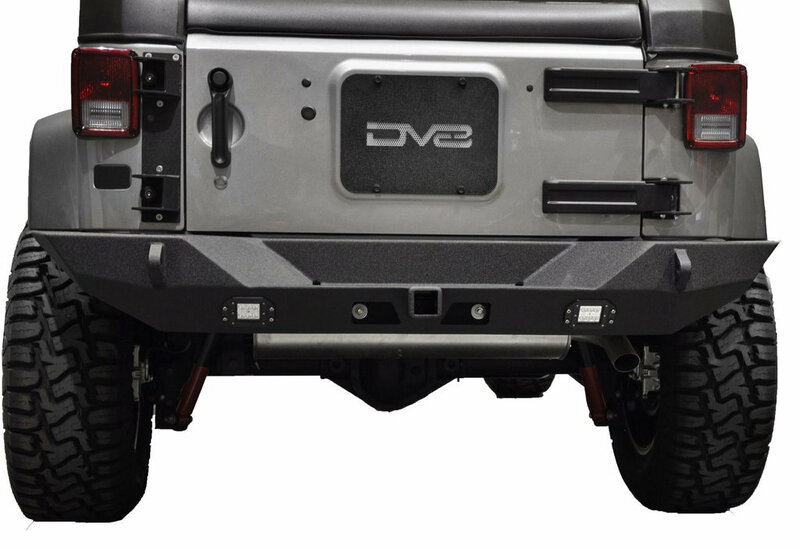 Give your Wrangler JK an off-road makeover with the RS-10 Rear Bumper from DV8! Dv8 makes sure they trail test their products to give your Jeep the quality it deserves along with a rugged look that will turn heads on the roads & trails. Made from 3/16" & 1/4" cold rolled steel with .120 wall tubing this bumper not only looks capable of taking on the outdoors it will stand up to everything that is thrown it's way. Finished off with a textured black powder-coat to prevent rust and protect from scratches along with D-ring mounts & D-rings. 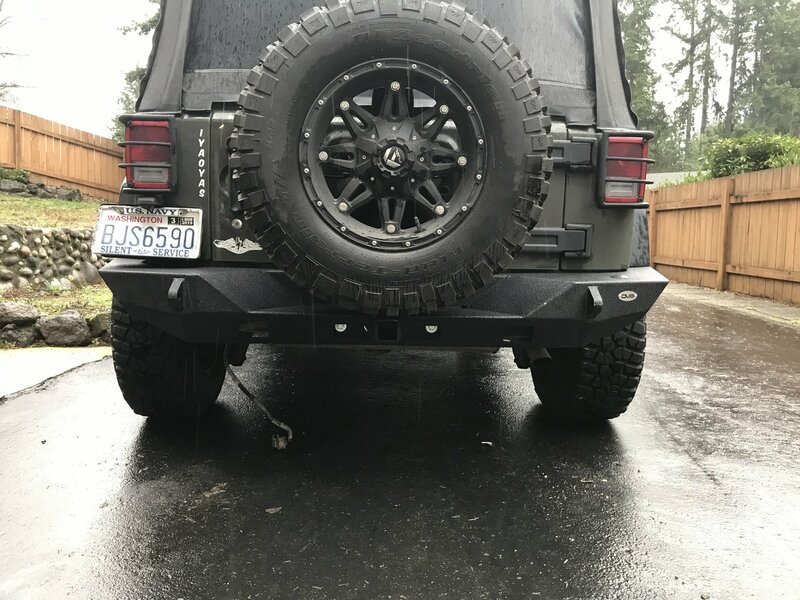 Construction: 3/16" & 1/4" cold rolled steel will keep this bumper holds up from off-road obstacles. High degree angles will give you more room when rock climbing along with D-ring mounts as added recovery points. Features: This rear bumper comes with flush mount LED back up lights preinstalled , D-rings & a class III hitch (rated to 3500lbs.) for more recovery points and added light when backing up.